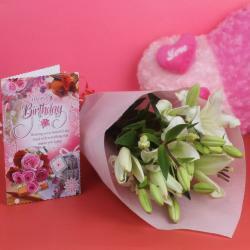 Product Consist : Bouquet of 6 White Liles along with Best wishes Greeting Card. Behold the beauty of this beautiful bouquet of 6 white lilies which stand tall with elegance, evoking everlasting devotion. White lilies, pure and bright, are versatile flowers and are perfect for a variety of occasions that call for a celebration with your loved ones. Lilies have been the most coveted flowers for weddings, birthdays and anniversaries all over the world. Best Wishes greeting card is adding more elegance to it. 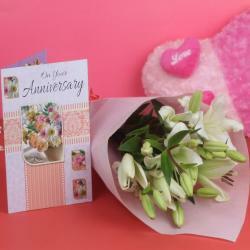 The long lasting white lilies can always convey your message to your dear ones convincingly. 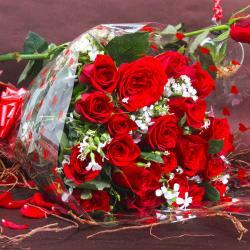 They are perfect gifts for those who desire something extraordinary in their life since they can easily win them over through their natural alluring appeal. 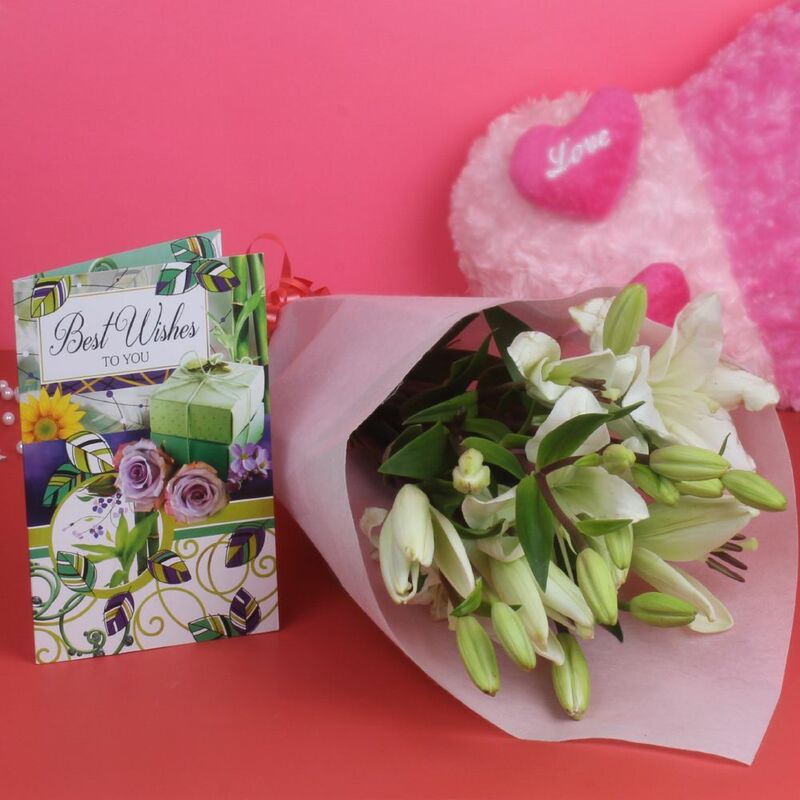 Make your loved ones cherish and treasure the memories with this lovely gift of precious white lilies and best wishes greeting card from Giftacrossindia.com. 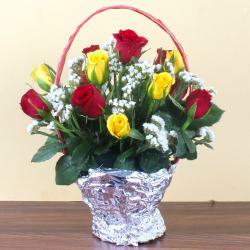 Product Consist: Bouquet of 6 White Liles along with Best wishes Greeting Card.